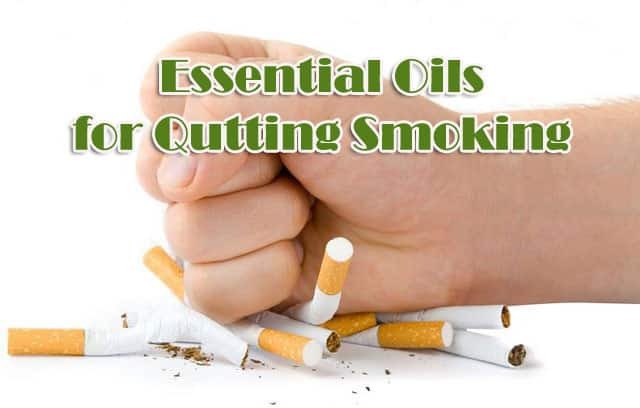 Essential Oils For Quitting Smoking – Have you ever tried to quit smoking but failed? True, many people have good intentions to quit smoking but for various reasons ultimately fail. Quitting smoking is not an easy thing, but it takes mentally for it. Someone who does not make a mature preparations will certainly fail. If you often fail, essential oils include one of the effective remedies for quitting smoking. But before you try, you need to know that essential oils are not magic that can make you quit smoking easily. Until now no research has suggested that aromatherapy is a miraculous alternative to quitting smoking. However, essential oils are meticulously beneficial to help those who want to quit smoking. In the book “Clinical Aromatherapy: Essential oils in Practice” there is written that there is research done and proven to help them from smoking. In the study, they made two groups, one group inhaled the angelica essential oil after meal, and one group did not do it. Then it is known that those who breathe in angelica oil can survive to not smoke for almost an hour. While other group, average they immediately smoke after two minutes of meal. The result, they still want to smoke and crave, but essential oils can help them to stop slowly. Black pepper is one drug that can help. In another study said that black pepper can simulate cigarette flavor and reduce appetite (Rose and Behm, 1994). Aromatherapy essential oil is good as a remedy to avoid the effects of nicotine such as irritability, low heart rate, unconsciousness, depression, not concentration, and weight gain. Some essential oils for quitting smoking are Angelica, Clove, Cinnamon, Peppermint, Grapefruit, Black Pepper and Ylang Ylang oil. This oil helps you to survive without smoking. Perform treatment gradually, if you have a strong intention then your success is not impossible. To quit smoking, make your own essential oil mixture from home. Combine 5 drops of clove oil, orange oil, lemon, chamomile essential oil, helichryum, and 10 drops of lavender, 10 drops of marjoram, and 15 drops of grapefruit. This essential oil blend will soothe the nerves, refresh the soul, stabilize the mood. Put the oil into the bottle of inhaler and breathe deeply, can also use in the diffuser to spread in the room. If you do not find any of these types of oils, use one of them for a massage remedy. Massage gently behind the neck, or on the chest to relieve symptoms and desire. Furthermore, a simple and easy way to help you quit smoking is to meddle a few drops of Ylang-Ylang oil in a tablespoon of massage oil. Scrub on your feet when going to sleep, ylang ylang is useful to help you to eliminate cravings and anxiety.